Ben Shapiro has been a Never Trumping clown for quite sometime. Today he proved he hasn’t matured since the President has taken office. As many of you know the Notre Dame Cathedral in Paris caught fire on Monday Afternoon, and it is horrific to watch this level of history go up in flames. Leave it to Shapiro to take this tragic day to take a swipe at President Trump. 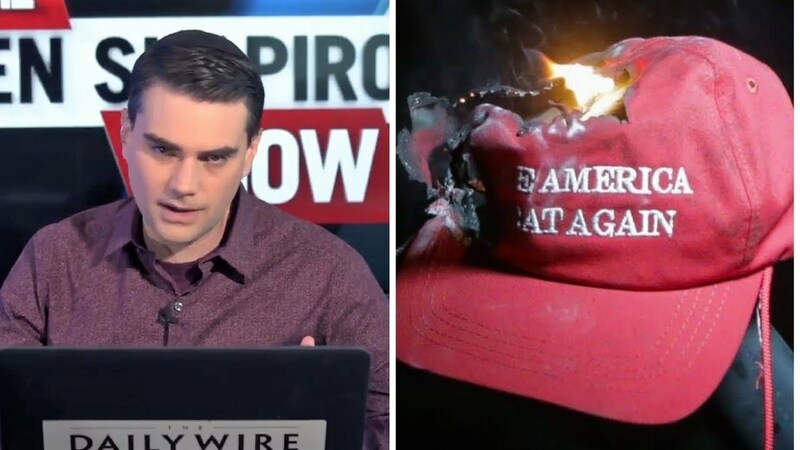 Shapiro doesn’t hide his dislike for President Trump, and the fact that the thinks a candidate he supported would have accomplished more than President Trump is laughable. Unemployment lowest in 50+ years, job growth, manufacturing jobs, trade deals, prisoners home from North Korea, North Korea hasn’t tested a missile in almost two years, military fully funded, police and military moral at all time highs, I’ll stop there. To act like any other candidate that was running in 2016 would have accomplished this is just play ridiculous. He knows better too. However he always thinks he’s the smartest guy in the room. Ben is a smart guy, we’ll give him that. But sometimes you need a tough guy. Sometimes you need a guy with balls. Sometimes you need a guy willing to take chances. Sometimes you need a fearless leader. That sometime is now Benny Boy. UPDATE: Ben Shapiro Deleted his Tweet about President Trump after our article went live. I forgive you Ben. It was a stupid comment but you did apologize. We are all human and make mistakes. Ben is very good at admitting when he’s done something stupid.